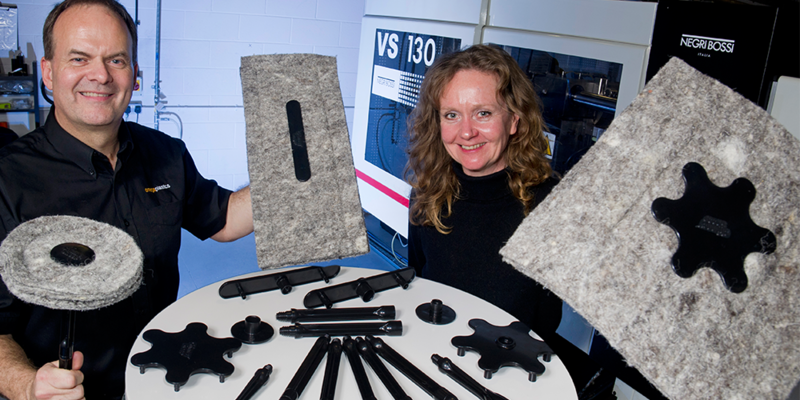 With an aim to stop cold draughts and reduce energy bills, Sally Phillips launched her business in 2012 with a product made purely from kitchen utensils and wool. Now known as the Chimney Sheep, Sally’s product has sold over 40,000 units and is continuing to grow and expand. After experiencing challenges with design and usability, Sally approached Omega Plastics in early 2015 with a plan to make her environmentally draught excluder more suitable for her target market. To ensure the usability of the product and the ability for it to be mass produced, our design for manufacture process was carried out so that the product met the requirements of its environment. The market demanded a high volume of parts and so four, 1+1, P20 steel tools were made to produce ten parts in total. Allowing efficient usability of the device was a challenge during manufacture. Adjustments had to be made to the tool to ensure functionality of two parts which had to fit together with the correct lock and force. Once the desired fit and feel was achieved material assessments has to be complete due to the demands of the product and market. Today Chimney Sheep has sold over 40,000 units since launching four years ago with continuous supply from Omega Plastics. 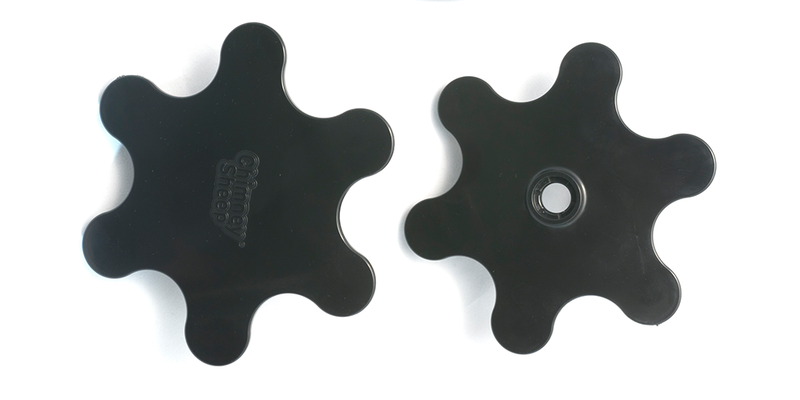 You can read more about the Chimney Sheep product on our news page, alternatively why not take a look at the product online at www.chimneysheep.co.uk. Chimney Sheep is also available on Amazon and B&Q.